This Little Magazine has no difficulty living up to its title for, verily, there is no end to things, in Brattleboro, past, present, and future, to be regarded "with interest". This number is roughly spread over three decades or more, and might properly be called the Cycle-Fair-Auto and Ski Sport Number with some miscellaneous pictures thrown in for good measure. 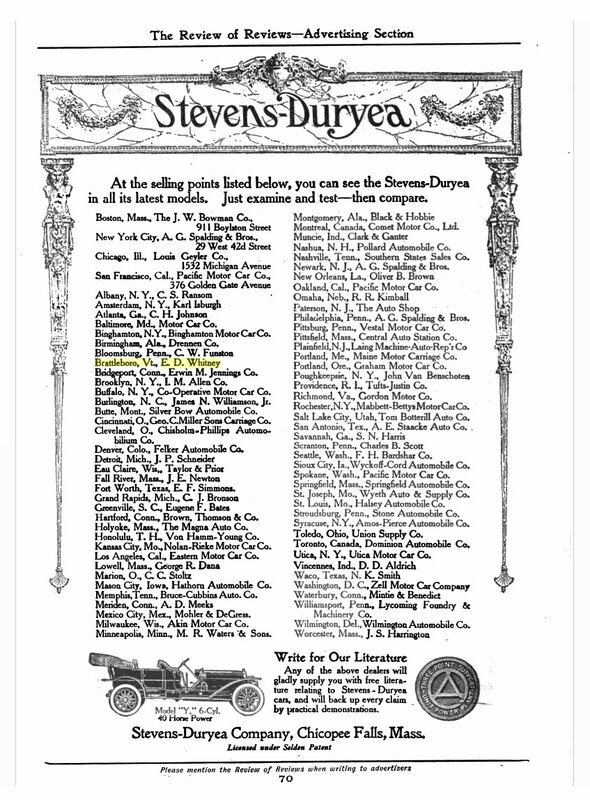 That pose of perfect relaxation which serves as cover to this number is one of Deacon George H. Clapp and his son Arthur L. Clapp in "the third Stevens-Duryea car manufactured," which, however, they purchased second-handed and which was not quite the first auto to appear in Brattleboro. 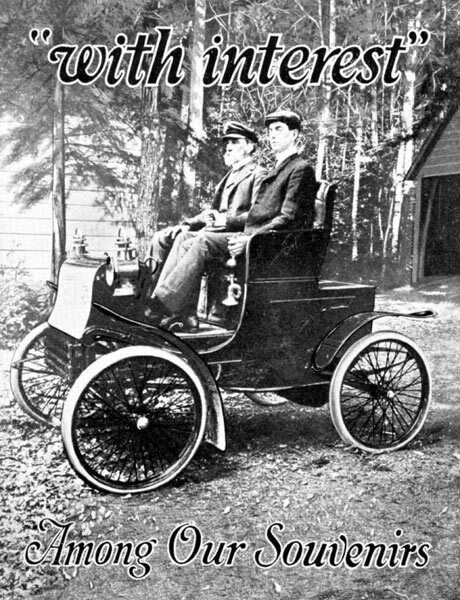 Charles A. Harris was the first, it is believed, to purchase an automobile in Brattleboro, in the spring of 1901, beating Hayes Bigelow and Willard Cobb by about 24 hours. Fred C. Adams was another of the pioneers. All of these were steam cars, of course, and it was E.D. Whitney who was first to buy a gasoline automobile, in 1903, with H.L. Emerson and others following in close order.